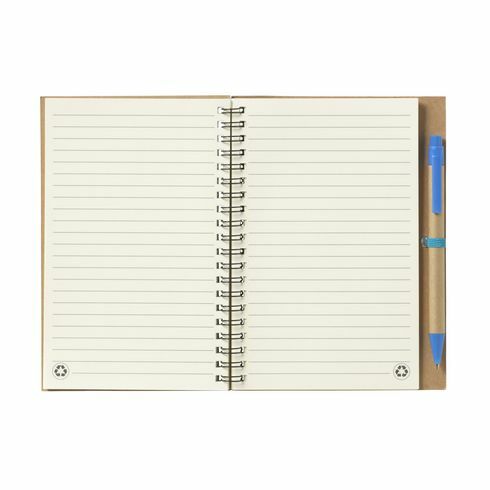 Environmentally friendly notebook made from recycled material with approx. 70 sheets of cream lined paper, cardboard cover and strong spiral bound. Incl. blue ink ballpoint. These notebooks were included in the conference delegate bags which received high praise. Again, a quality product and excellent value for money. Our branding was subtle and tasteful on it and our delegates really liked it.